Minecraft 1.9 is coming soon. Here is a Summary of all the information and Spoilers released about the Minecraft 1.9 update from Minecon and from the Minecraft Developer Dinnerbone. This photo shows the possible new player inventory which includes a shield, quiver and arrow slots. You can also see 5 different types of arrows. At Minecon it was announced that the ender dragon fight was being revamped to be more like the console version of the game. It will include iron bar cages around beacons to prevent players from easily shooting them all down. The dragon will now be able to be optionally respawned but will only ever drop one egg. It will however drop something called dragons breath each time. The end if also getting more islands to fill out the dimension with its own new blocks, plants and ways of getting around via ender gateways. 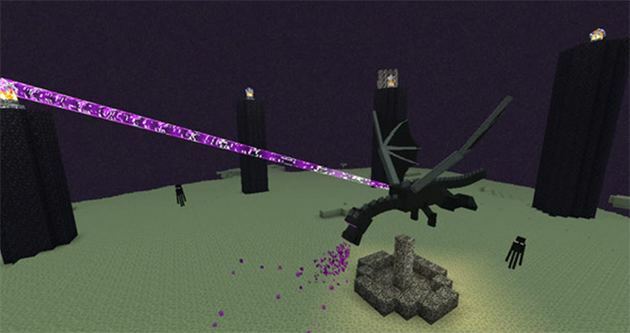 Now after defeating the ender dragon a dragon head will drop. This will make a nice trophy to add to your base. 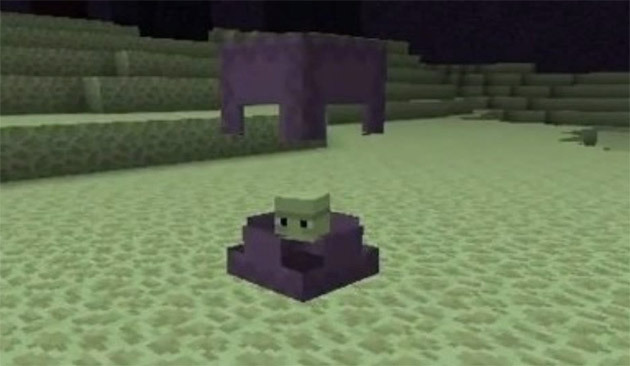 A New mob the Shulker resembles other blocks in the end and will reveal itself and shoot projectiles at players that will cause damage and force players to levitate against their will. Shields will be introduced and will be customisable like banners. They block damage with the actual model so it is important to face the correct way to block damage from arrows, swords and the like. Click the image above for a video of dual-wielding action placing torches while mining. Combat is seeing some good additions, the main one being dual wielding with off hand items. New Spectral arrows that hit a target will paint an outline around the target that can be seen at any distance and through walls as a glow effect. Also at Minecon it was hinted that other poison arrow types could be made from combining potions and arrows. Maps will now be held one handed and will also put up a mini map on the screen when held in the off hand. Also it was mentioned that boats will see some updates and possibly more durable boats to be released. The 1.9 Snapshot has now been released. To get the snapshot, open your Minecraft launcher and press the New Profile button. Call it something like snapshots and check the box saying “Enable experimental development snapshots” select the snapshot e.g. “15w31a” and hit save.